In addition to our regularly updated blog for professional drivers, we're also happy to offer a variety of downloadable resources to help you learn more about life as an over-the-road driver, study up on CFI programs and stay healthy. Browse all of our downloadable resources here! Is there something you'd like to learn more about? Drop us a note. CFI Is committed to our military. As part of that promise of partnership, we're offering a free Transition Guide download to assist separating military considering a career in trucking. With double the industry average of female professional drivers at CFI, we're setting out to change the ratio. In this eBook, our experienced female drivers shared their stories about why they chose a life behind the wheel to encourage more women to join the industry. 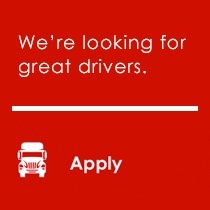 Interested in over-the-road trucking, but not sure if it is the right fit for you? Learn more about the trucking lifestyle and see what a day in your life might be like with this free download.